SnapCacklePop: Reece Mastin to release Behind Closed Door DVD..! 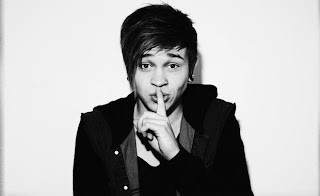 Reece Mastin to release Behind Closed Door DVD..! Love Reece Mastin? Well the chart-topping X-Factor winner will give fans an up close and personal look into his life and career in his upcoming DVD release, Behind Closed Doors. The DVD will be released this Friday September 21 features all new behind the scenes footage, acoustic performances, interviews and live tour recordings. The DVD also includes a 36-minute documentary about the star including intimate interviews with Reece’s close friends and family, including Guy Sebastian, Reece’s mentor who originally discovered his talent and developed him on The X Factor. And here is Reece performing for his little Rockers on Sunrise..!